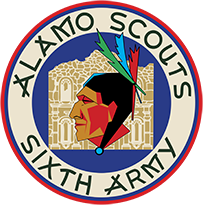 Searching For Johnnie Long | Alamo Scouts Historical Foundation, Inc.
Johnnie R. Long of Clay County, Texas, graduated from the 8th class at the ASTC in late July 1945, but the war ended while en route to his first mission as a member of the Grimes Team. Long writes in a 1946 letter to Mrs. A.M. Thompson, “The war ended while en route on first mission. I would have liked very much to have gone on at least one mission”. Afterwards, he performed a beach reconnaissance mission in Wakayama, Japan with Henry L. Adkins team and served with a group of Alamo Scouts as the occupation force in Kyoto. In November of 1945, Johnnie went home and was never heard from again by his teammates. 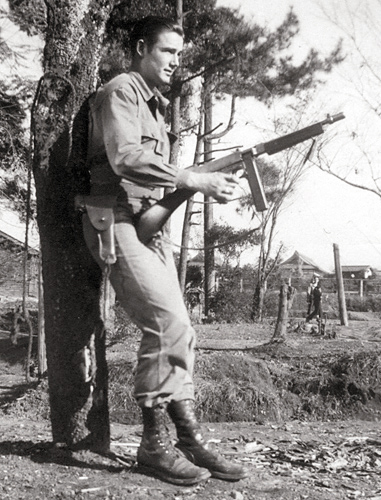 Johnnie R. Long poses with a Tommy Gun in Kyoto, Japan. For the past few years now Johnnie Long’s name has come up. I searched the internet constantly, but always came up dry. One day I found a letter that he had written along with a cool photo of himself leaning against a tree holding a Thompson machine gun. I needed to find this guy. 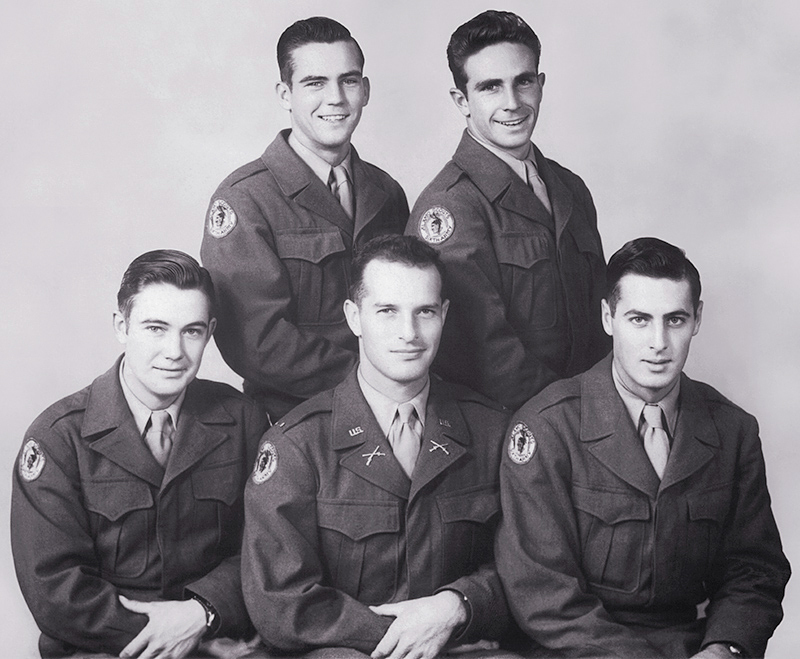 Lowell Wooten, Kenneth Cameron Johnnie Long, Henry Adkins, Carl Bertoch Adkins Team, Kyoto, Japan. I called teammates Henry Adkins and Carl Bertoch for help. Carl said that Johnnie was a quiet fellow and that they had lost contact with him after the war. 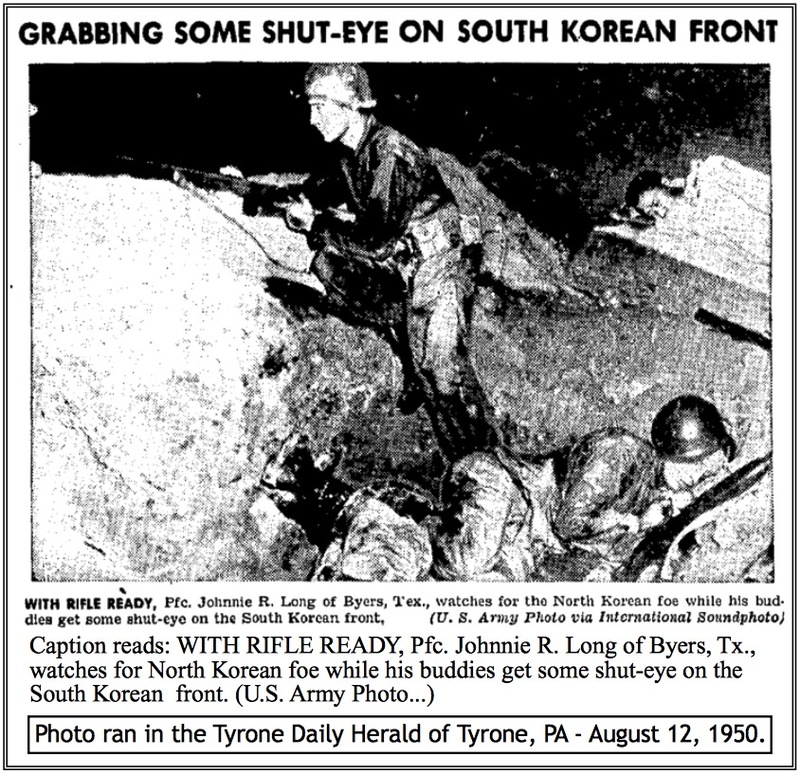 Henry said that on one occasion in the early 1950s he was out of town and saw a newspaper photo Johnnie guarding a foxhole in Korea. This motivated me even more. I went back and compared the letter with the official ASA roster. There it was. His named was listed as “Johnny,” the more common spelling. No wonder I could not find him. While working on the new book that Lance and I are doing, (Silent No More), I did another internet search, this time with the correct spelling. There he was, plain as day. I sunk in my chair in front of the computer. 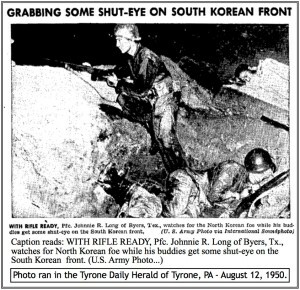 It read, “Johnnie R. Long was Killed in Action on August 16th, 1950 in Korea.” For days I walked around feeling like I had just lost a close friend. It was quite a letdown after all this time to learn what became of Johnnie. But it doesn’t end there. Now I find myself searching for family members, with a little luck I won’t have to worry about the spelling.